Zenjiro left his life on Earth behind to become the husband of a beautiful queen, but as it turns out, not everything is happily ever after. Behind the smiles of the nobility lurk hidden agendas and ambitious schemes. When even an innocent word or gift carries hidden meanings, can a simple Earthling navigate courtly intrigue? And what does Queen Aura think of all the efforts to ensnare her beloved in a second marriage? Tsunehiko Watanabe is a Japanese author best known for The Ideal Sponger Life. 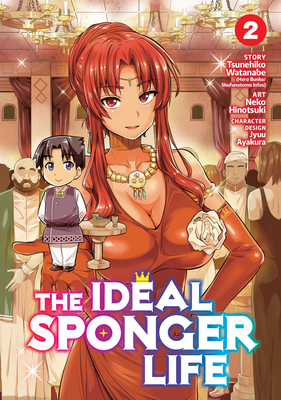 Neko Hinotsuki is a Japanese manga artist best known for the manga adaptation of The Ideal Sponger Life.